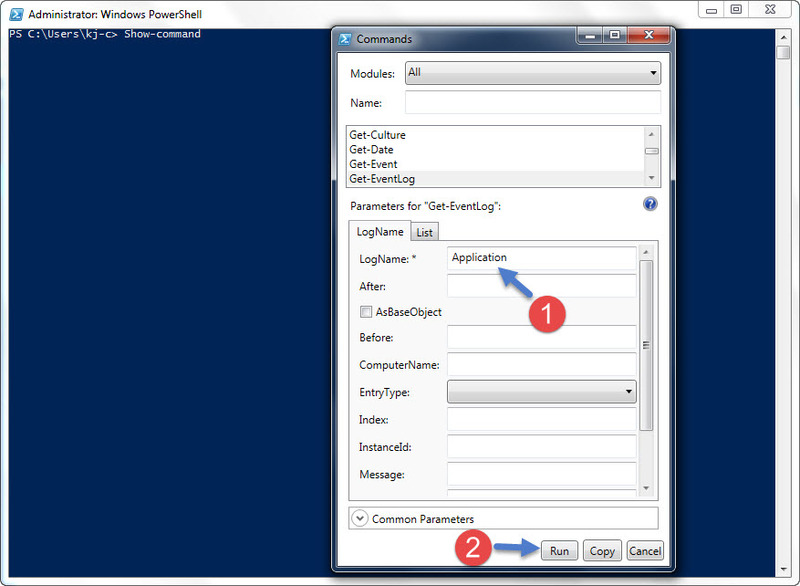 I have explained a little bit about what is Parameter Name, Parameter Value, Mandatory & Optional Parameters, Positional Parameters and help commands in the Powershell. Mandatory Parameters isn’t enclosed with Square brackets. You must need to give mandatory parameter when run commands otherwise it will prompt for you provide Parameter value. Powershell list the optional Parameters within Square brackets.It’s not mandatory and you don’t need to use it at all if you don’t want. Positional Parameters are the parameters that you are most frequently using. You can directly provide Parameter Value and no need to type Parameter Name. Parameter name is enclosed with Square brackets. To see the examples, type: “get-help Get-EventLog -examples“. For more information, type: “get-help Get-EventLog -detailed“. For technical information, type: “get-help Get-EventLog -full“. Get-Command -> To List all commands or if you weren’t sure about command you can use wildcards. If you are struggling with the commandline, you can use Show-Command line and it will graphically prompt you to provide the values. It will list the EventLog which is under Application.